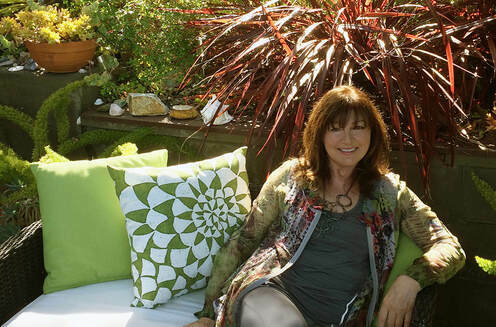 Following a successful career in advertising, Eileen pursued her lifelong affinity for plants and design, and in 2006 formed Dig Your Garden Landscaping Design, located in San Anselmo, Marin County, CA. ​Eileen's award-winning accolades reflect her passion for designing landscapes that are not only beautiful but thoughtful, functional and crafted to enhance the lifestyles and outdoor enjoyment of her clients. Her designs blend an artistic expression with a spatial balance. They span sleek and modern spaces, to calm and restful zen-inspired environments as well as those with a more traditional aesthetic. Eileen's plant palette includes drought tolerant and low-maintenance plants and incorporates CA natives, plants from other Mediterranean regions and succulents as appropriate. ​Eileen's clients share praises for her innovative design solutions combined with a collaborative spirit, keen listening skills, clear communications, delivery of excellent service and attention to detail through the finished landscape. ​Extensively trained in landscape design and architecture as well as environmental landscaping studies at Merritt College and the College of Marin, Eileen is also a graduate of the Bay Friendly Training Certification Program, (Now Rescape California) an organization committed to eco-friendly and sustainable landscaping practices. She continues to educate herself on the topics of sustainable and ecological practices, materials and new plant introductions. 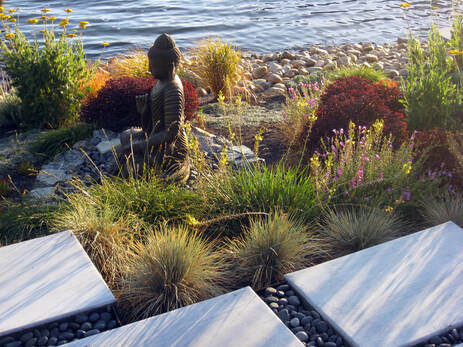 Our primary philosophy is to create unique and thoughtful outdoor living environments that address each client’s lifestyle and wishes while incorporating sustainable and ecologically responsible landscape practices. That in tandem with meeting their budgetary and scheduling wishes. Establishing a clear vision is an important first step in the process…..and understanding our client’s wishes, and lifestyle is important to the success and outcome of the landscape. Each design approach considers the architecture and unique character of the residence and site conditions and incorporates plants that are appropriate, have low-water needs are low-maintenance and provide year-round color, texture and beauty. Eileen encourages collaboration with her clients as well as other team members that may are involved in the landscape remodel to ensure the long-term success of the landscape project. 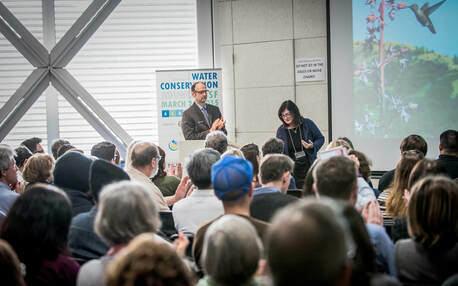 featured speaker at various events, that include the 2015 PG&E San Francisco Water Conservation Summit, her topic: "lawn replacement design strategies"; She's been a featured speaker at The Garden Conservancy Event "Creating Great Plant Combinations" and was invited to KGO ratio interview with Ryan Scott to talk about Sustainable Landscape Design Techniques and Practices. Eileen is a contributing writer for Houzz.com and has written various articles covering fire safe landscaping and a variety of informative landscape and plant related features and topics. Eileen was wonderful to work with - professional, easy going, and creative. Our space was completely unusable before and she transformed it into a beautiful area where we can now host gatherings. She is also very aware of budget and willing to offer a variety of options to meet your needs. She even recommended a gardener who we still use regularly! Eileen did a remarkable job with our landscaping project. She helped transform our somewhat challenging hillside lot into a beautifully landscaped space. She excels in listening to her clients and giving them a beautiful cohesive plan. The final product is amazing - we couldn't be happier. Would highly recommend her gorgeous work. She was truly a pleasure to work with. © Copyright 2019. All content and images are the sole property of Dig Your Garden Landscape Design.